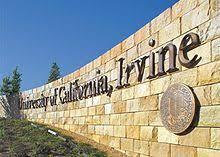 UC Irvine was the center of a controversy about revoked admissions. The University of California should no longer withdraw acceptance offers to incoming students if their high school transcripts and other verification of their academic records are not sent to admissions offices by July 1, according to a new UC study commissioned in response to a furor at UC Irvine last summer. In calling for a less harsh approach, the task force wants to avoid any repetition of the controversy when UC Irvine rescinded the admissions of 290 previously accepted students for failing to submit transcripts and other documents in time. Critics had alleged that the campus was pushing those students out because it had miscalculated and accepted too many of them earlier in the year. UC Irvine apologized and the students were then reinstated after protests and much emotional turmoil. On Wednesday, a task force established by UC president Janet Napolitano to study the issue emphasized that it remained important to verify that the grades and course work students self-reported on their applications were accurate and met UC requirements. But verification should not be used to manage the size of the incoming classes, according to the panel’s report released during a UC regents meeting. Instead of revoking admissions, a step which can strand students without a college to attend, UC campuses should look at less punitive steps later if the transcripts remain missing, the committee of faculty, administrators and students said. Those alternatives could include putting a block on students’ ability to register for classes, to submit a deposit for housing and to participate in orientation sessions. The report noted that leniency should be considered since the matter may be “out of the hands of the student” if the high school or college did not send in the documents despite requests. As a result of the UC Irvine situation, “UC’s legitimate need to verify the academic qualifications of new students was undercut — and UC’s admissions process tarnished — because of a belief that students’ admission was jeopardized for something other than adherence to academic qualifications needed for admission,” the panel’s interim report said. 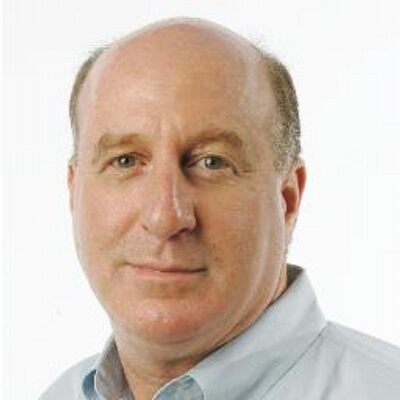 Michael Brown, the system’s provost and executive vice president for academic affairs, told the UC regents who were meeting in San Francisco Wednesday that UC Irvine had in fact used the verification process as a way to control the size of the incoming classes and that such methods are “ineffective and inappropriate” whether a campus is “under or over-enrolled.” He said he expected many of the recommendations for a more flexible approach will be adopted for the current admission cycle. Campuses should send more email, text and phone reminders to students about the need to make sure the documents are sent in and UC admissions offices should work harder to find out whether the student decided to enroll elsewhere, the task force also urged. In other matters, another UC committee urged that UC should encourage more students to take summer school classes and to take advantage of recently revived federal policies and funding that will allow federal Pell grants to be used year round. The panel, which is examining ways to make UC more affordable, said that UC should advocate in Sacramento for expanding Cal Grants for more summer use. “Speeding time to graduation is one of the most effective ways to reduce the cost of an undergraduate degree, and students who attend summer school are more likely to graduate in four years,” said the report. The group also called for UC to come up with better calculations of the complete expenses students face, including living costs, transportation and campus fees. Meanwhile, the UC Student Association announced that it will soon start to offer annual report cards on how each regent serves students’ needs and whether the regent is accessible. Among the factors will be how often regents visit campuses and interact with students and how their voting record impacts students. “Most regents are out of touch with students,” UC Student Association president Judith Gutierrez, a student at UC Santa Cruz, said in a statement. She and student regent Paul Monge, who joined in starting the report card, described it as a good government tool at a time when UC is considering another tuition hike.